At the beginning of this year, I wrote Baby-steps To A Healthier You. I shared how I was going to make smaller weekly goals to help me reach my overall goal of losing weight and becoming healthier. Last month I shared my reflection about my progress in My Healthy Breakfast Evaluation. Just a quick recap, I am giving myself time to put my goal into action and then additional time to reflect on how things are going and what adjustments I need to make to continue progress toward my goal. I want to make sure that I feel successful so I do not get discouraged and lose momentum. The last thing I want is to revert to old habits. I was going to start with breakfasts first and then move onto snacks. My breakfasts took a little longer to accomplish than I had anticipated. We all know that life can throw you curve balls and sometimes things can get a little chaotic. For the past two months, my life has been a whirlwind, so I have been living one day at a time. However, I am happy to report that I have lost 5 pounds! Could I have lost more? Certainly. However, I shared that this is a complete lifestyle change for me as I am trying to break old habits. I continue to remind myself that even if I cannot physically see the results, this does not mean that my body is not changing on the inside. After all, slow progress is still progress. I have officially graduated myself to snacks this week. In preparation, I have done some research to help set myself up for success. If you suffer from Snack Attacks like myself, then I have great news for you! The Ohio State University Wexner Medical Center has fantastic handouts for healthy snacks. They even have handouts broken down into specific categories. Maybe you are looking for snacks to control your blood sugar, snacks under 100 calories or just a list of healthy snacks in general. You can find all of these handouts, plus more on their patient education health information website. A snack helps control your appetite. I encourage you to print off one of the snack handouts from the Wexner Medical Center and tape it to the inside of one of your kitchen cabinets. This way if you’re stuck on what to eat you have a quick reference! The Best Place to Buy Apples – If you have the chance, there are benefits to buying your apples locally. Eating local food is eating seasonally. 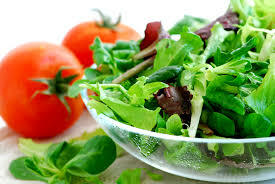 Local food has more nutrients. Local food supports the local economy. Local food benefits the environment. Local foods promote a safer food supply. Local growers can tell you how the food was grown. Combine apples, pineapple, celery, and raisins. Mix yogurt, mayonnaise, pineapple juice and cinnamon together and blend into other ingredients. Yield: Four 1 cup servings. Calories: 121 per serving. Want to know more about apples? Several resources are listed below. One of the hardest issues to deal with when you’re trying to lose weight is achieving satiety (how “full” you feel after eating). It has been a problem for me for decades because I am a very fast eater. Anyone else out there like that?? I can inhale a meal in literally five minutes. This is problematic because it takes 15-20 minutes for your stomach to signal your brain that you have had enough food. Because I eat so fast, I used to still feel hungry after one plate of food. Then I would go back to the kitchen for seconds. Unfortunately, after a second round of food, I didn’t feel very good. I felt stuffed the way most of us do on Thanksgiving Day. I finally hit rock bottom a couple of years ago. I knew I was probably not going to eat more slowly, so I had to learn to control the amount of food I ate. An apple a day keeps the doctor away? Truth or Fiction? Many recent studies are finding that there is some truth to that saying. The phytonutrients, flavonoids and polyphenols in apples work together to help regulate your blood sugar. The pectin in apples seems to help lower the body’s need for insulin. 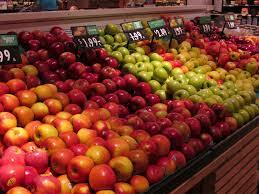 Total cholesterol and LDL-cholesterol are both decreased with consumption of apples. It is important to eat the whole apple to gain the cardiovascular benefits. A recent study reported in Stroke: Journal of the American Heart Association, found that a high intake of apples, pears and other white-fleshed fruits and vegetables reduced the risk of stroke by 52 percent. 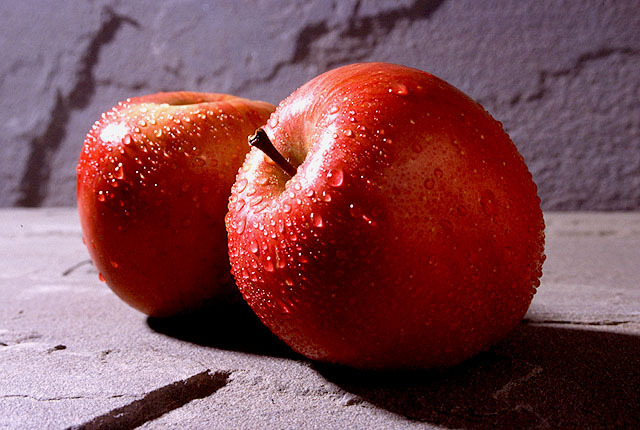 Apples can provide satiety. 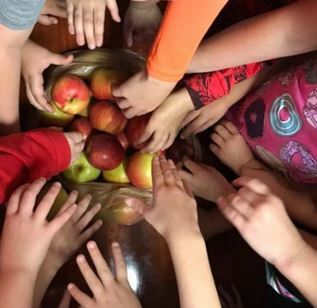 Researchers found that people eating whole apples reported less hunger than people eating applesauce or drinking apple juice. When adults ate one medium-sized apple about 15 minutes before a meal they reduced the amount of calories they ate by 15%. Apples consumption is linked with a decreased risk of asthma and lung cancer risk. 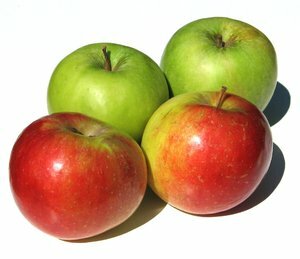 In some recent studies apples helped reduce the symptoms caused by asthma. 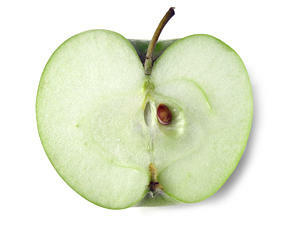 Preliminary results show that eating apples can be beneficial in preventing other cancers too. Apples may help protect post-menopausal women from osteoporosis and actually help increase bone density. Apples may reduce your risk of Alzheimer’s disease and slow cognitive decline seen in normal aging. With so many varieties of apples you can choose sweet, tart or in-between. The free fact sheet from Ohio State University Extension “Selecting, Storing, and Serving Ohio Apples,” available at http://ohioline.osu.edu can provide information on best choices for different recipes. Store apples in the refrigerator (32 to35° F) in a perforated plastic bag and wash apples before eating or using in a recipe by rinsing in cool water. Add chopped apple to your breakfast oatmeal. 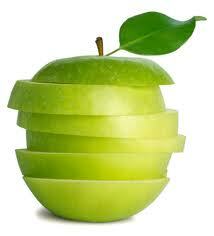 Add sliced or chopped apples to your green or fruit salads. Microwave an apple for a quick baked apple for dessert or snack. Braise a chopped apple with red cabbage. Serve sliced apples with peanut butter or cheese. How do you serve apples?